Because your week nights should be spent doing what you love most! Are slow cookers worth the effort? Cooking with a slow cooker is a great way to save time and still prepare a healthy meal. Assemble the meal in the morning, transfer it to the slow cooker, and get your dinner without mess or cleaning. 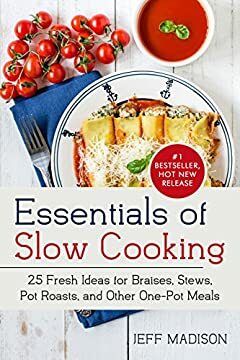 A slow cooker cookbook you'll use day after day! These are simple, easy Crock-Pot meals. Easy enough for busy weeknights, but filled with enough flavor for the relaxing weekends! Get ready to start your Crock-Pot while cooking up taste bud tempting dishes that you will enjoy making again and again.